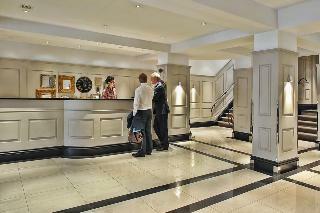 This modern hotel enjoys a prestigious setting in the London district of Chelsea. The hotel is located close to the Kings Road, enjoying close proximity to a host of shops, restaurants and entertainment venues. 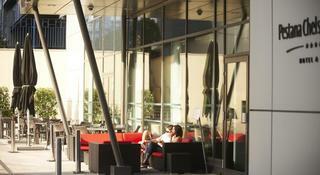 Guests will find themselves in a great location from which to explore the delights that this city has to offer. Links to the public transport network are to be found nearby. This charming hotel enjoys a contemporary design. The guest rooms are eloquently appointed, featuring modern amenities for added comfort and convenience. Guests are invited to enjoy a delightful breakfast in the mornings, and delectable dining is available in the restaurant in the evenings. This property is located in London, in an art deco building on Sloane Avenue in the royal London borough of Kensington and Chelsea. The hotel's proximity to the metro and bus stops will allow guests to explore the area. Moreover, the Natural History Museum, the Science Museum and the Victoria and Albert Museum are only 10 minutes' walk from the property. Guests can reach the West End and the City of London via the South Kensington and Sloane Square underground stations, which are an 8-minute walk away. The property consists of several types of accommodation units, ranging from double rooms, junior suites, suites, apartments and studios. The on-site car park may be useful to those arriving by car. 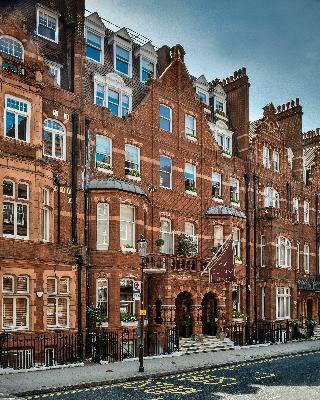 San Domenico House is a luxurious boutique hotel located only 5 minutes' walk from Sloane Square and fashionable Chelsea. Bedrooms have en suite marble bathrooms and offer free Wi-Fi. Beautifully designed rooms are furnished with antiques, paintings and classical furniture, collected from around the world. Air-conditioned, rooms feature seating areas, flat-screen TVs and large built-in wardrobes. Penhaligon's toiletries and bathrobes are provided in the luxurious bathrooms. There is a breakfast, lunch and dinner room service menu and a roof-top terrace is available for exclusive use of the hotel guests. Victoria Station, Buckingham Palace and Hyde Park are all just one kilometer away. 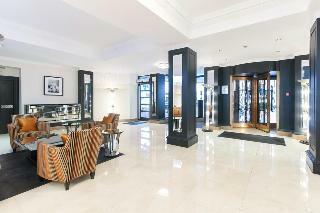 San Domenico House is also less than 15 minutes walk from Knightsbridge and world famous Harrods. This comfortable hotel is located in the famous London district of Chelsea; it is a great place for those wishing to attend a Chelsea game at Stamford Bridge. It is also close to the popular Kings Road shopping street and the Victoria and Albert Museum. 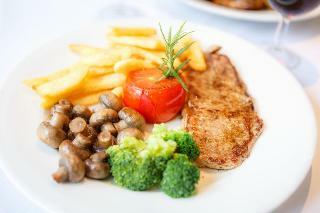 Guests will be able to find within the area a number of international cuisine restaurants. Fulham Broadway underground station can be reached on foot. Excellent hotel clean and modern. Great location, staff friendly and very helpful.